This past month found us in inspiring spaces and places all across Minnesota. From sharing about the "Our Minnesota" Cascading Conversations Tour with the Initiative Foundation in Brainerd and Saint Cloud to exploring microaggressions with LOCUS leaders to helping advance 6 new innovative ideas at the IDEA GENERATION at the MN Social Impact Center, we're excited to be connecting with incredible emerging leaders statewide! Next month, we'll be celebrating our 6th anniversary and hope you'll join in the festivities at our May Sounding Board Session, bushCONNECT 2015 (where we'll host the #mnrising Imagine Lab), or at LOCUS' "Intersectionality with Intentionality." As always, thanks for your partnership and participation! 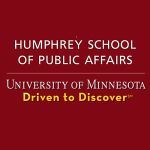 While the academic year is nearing completion at the University of Minnesota, the Humphrey School of Public Affairs is now seeking applicants for the 2015-2016 Policy Fellows program. Read on for more details about a program that can help Minnesota leaders make a greater impact and take their careers and work to the next level. Applications are due June 1st for the program beginning in September. Applications are now available for the 2015-2016 Policy Fellows program, one of the country's most respected leadership programs for emerging and mid-career professionals. Connect with a cohort of 35 people across the work and political spectrum who will broaden your perspectives and expand your network as you engage in a high-level professional experience. Gain practical skills and experiences to take your own career and civic work to the next level. The Policy Fellows meet once per month between September and June to explore fundamental aspects of leadership, and travel to Washington, D.C. for a multi-day trip with prominent elected officials and national public affairs leaders. Fellows represent business, nonprofit, and public sectors across the state of Minnesota. Applications are due June 1, 2015 for the program beginning in September. 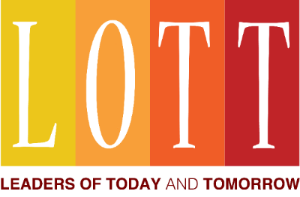 Scholarships are available; those specifically for nonprofit sector participants are made possible by generous gifts from the George Family Foundation and the Jay and Rose Phillips Family Foundation of Minnesota. Applicants from Greater Minnesota are encouraged to apply, and are eligible for lodging assistance. Questions? Contact cspg@umn.edu or 612-625-8330. The Policy Fellows program is based at the Humphrey School of Public Affairs at the University of Minnesota. Love Saint Paul and have ideas to make it more livable? Consider applying for the K880 Emerging City Champions Fellowship, which will equip 24 leaders under age 30 with the skills, knowledge, and support needed to make immediate and lasting local impact. See below for more details and be sure to apply by the May 8th deadline! The K880 Emerging City Champions Fellowship is now open for applications from young civic innovators with ideas to make their cities more livable. 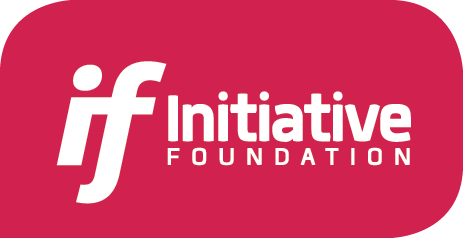 Supported by Knight Foundation and led by 8-80 Cities, the fellowship is open to innovators based in the eight resident communities where Knight invests: Akron, Ohio; Charlotte, N.C.; Detroit; Macon, Ga.; Miami; Philadelphia; San Jose, Calif.; and St. Paul, Minn. The fellowship will equip 24 young leaders with the skills, knowledge, and support they need to make immediate and lasting impact in their communities. A $5,000 grant to implement their project idea. An all-expense paid trip to the K880 Emerging City Champions Studio in Toronto, Canada where they will receive practical training from established civic leaders. Ongoing support from 8-80 Cities and a professional mentor in their related field. Between the ages of 19-35. Live in one of the eight Knight resident communities mentioned above. Their project idea must also benefit a community in that city. Available to attend the K880 Emerging City Champions Studio in Toronto in June 2015. Applications will be accepted until May 8 at emergingcitychampions.org. For more information on the K880 Emerging City Champions Fellowship please contact Ryan O'Conner at roconnor@880cities.org. 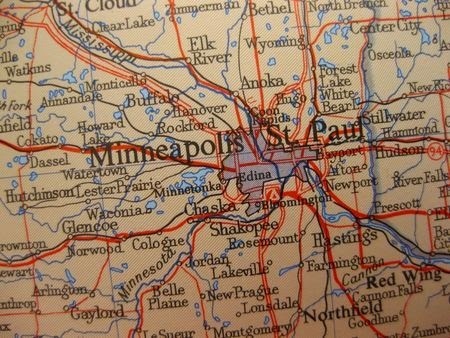 Seeking to connect young professionals with nonprofits in the Twin Cities, The LEAD Project invites you to join their efforts. Consider applying for their board of directors by the April 30th deadline. See below for more details about the opportunity and submit your resume and application today! We Want YOU to Join Our Board! 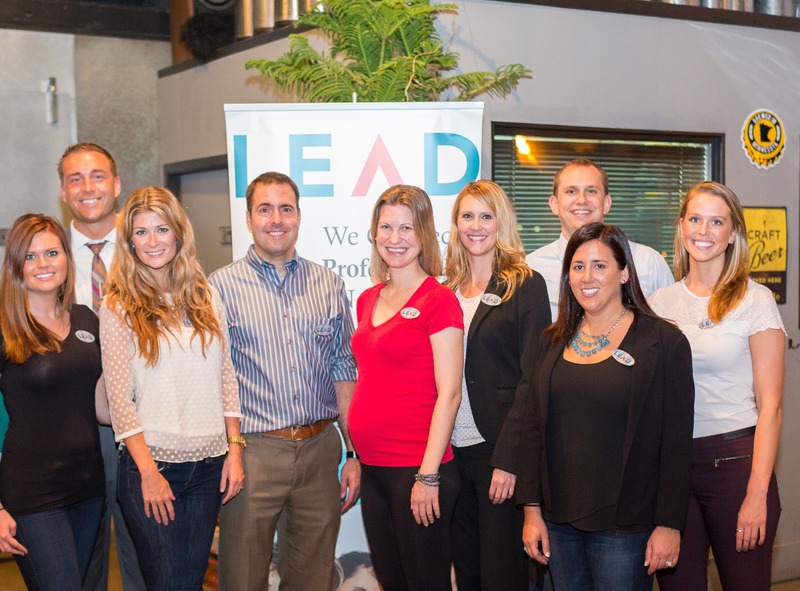 The LEAD Project is seeking new members for its Board of Directors. This is a fantastic opportunity to help LEAD advance its mission of connecting young professionals with nonprofits in a collegial, entrepreneurial environment. Board members set and execute LEAD's strategy, including events ranging from happy hours and PhilanthroFairs to galas. Depending on your role, you may implement social media outreach, meet with corporate partners, plan and execute educational offerings, build relationships with numerous Twin Cities nonprofit organizations, and much more! You can expect to learn new skills, challenge yourself, gain amazing new friends, and – most importantly – make a difference in your community. We are particularly interested in adding talent in the areas of website development, event planning, and project management. If you have experience in these areas, or simply a passion for nonprofit leadership, we want to meet you! The LEAD Project is a working board with a 2-year term and time commitment of 8−10 hours per month. Our meetings are from 7:00−9:00 p.m. on the third Wednesday of each month. Expectations include: service on at least one committee, regular attendance at board meetings and committee meetings (meeting times and frequency vary by committee), ongoing support of and attendance at LEAD events; and an annual board membership fee. Apply here and don't forget to email your resume to andrew.james@fmjlaw.com. The deadline is April 30 at 11:59 p.m.
An avid reader based in southern Minnesota, my friend Lisa refers to herself as the "Reading Rutabaga." She recently reviewed my book, Linh and the Red Envelope, which I'll have the opportunity to read at the Minnesota History Center on April 25 for Asian Pacific Heritage Family Day. Visit her blog for the official book review and see below for the author interview! 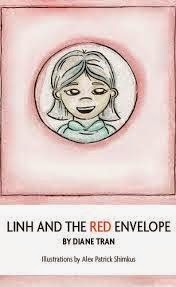 I am thrilled to share this post with you about Linh and the Red Envelope. The author, Diane Tran, is someone whom I’ve been able to call friend for over a decade. She’s a world traveler, leader, project manager, German Marshall Fund of the United Sates American Fellow, and overall inspiring friend, role model and individual. I’m so proud of her newest title: author! Linh and the Red Envelope (September 2013) by Diane Tran. Alex Patrick Shimkus, illustrator. Diane, thank you for taking the time to answer some questions! You have an impressive resumé. What is it like to add “author” to your list? Thanks for the invitation to join you on the Reading Rutabaga, Lisa! I've really enjoyed your insights here on different pieces of writing and literature, and consider it an honor to be featured on your blog. As an experiential learner, one of my favorite things to do is to try things for the first time. While I have blogged for several years, it has been a long-held dream of mine to write a children's book, so it was an incredibly gratifying endeavor. I'm especially excited because it's the kind of story—a young female Asian protagonist relating to challenges that are at once universal and distinct to her culture—that I never knew existed when I was young. I often wonder whether and how things might have been different or easier for me if I'd had access to these kinds of narratives when I was younger. And so I'm hopeful that this book being out in the world now can make a positive difference for young children today. You wrote your story for the Reading Together Project for a specific purpose: “to address the lack of children’s books that speak to the experience of being an Asian Pacific Islander (API) child or youth in the United States.” Especially for APIs, what kind of impact do you think reading of API title characters will have on them? Do you think it might have a creative or proud cultural impact? I'm hopeful that through getting to know Linh, her mom, and her grandmother, API children will be able to see their own realities and experiences reflected back to them as normal and significant. For API and other marginalized communities, the result of not seeing others like you—your race, class, ability, immigration status, faith, etc.—in literature, the media, or popular culture has the effect of making you feel invisible. Unnoticed, unimportant. (Paradoxically, it can also create the feeling of being overly exposed and in the spotlight in an undesired way: When as the only different person in the room, you're looked at as the "other" or presumed to be speaking for your entire ethnicity, gender, etc.) And if there are characters that look like you, they often times serve to portray stereotypes that are limiting and/or harmful. This effectively reduces diverse populations to a single characteristic or function, devoid of any further humanity. This under-representation and mis-representation mirrors the way in which the dominant culture relates to or experiences minority groups. And so, by creating our own narratives and sharing our lived experiences, we can begin to see our realities as valid and meaningful and in the process, and humanize ourselves and each other. Can you tell us about the Reading Together Project? Funded by the Arts and Cultural Heritage Fund and created as a partnership between the Minnesota Humanities Center and the Council on Asian Pacific Minnesotans (CAPM), the Reading Together Project focuses on amplifying missing narratives from the Asian American and Pacific Islander communities, supports the development of English literacy skills while recognizing cultural heritage, and creates opportunities for children and families to learn about API cultural heritage together. Seeking to address the lack of children’s books that speak to the experience of being an Asian Pacific Islander (API) child or youth in the United States, the project has published six children's books in recent years. In 2012, the project produced two chapter books written for a third grade reading level, and in 2013, four picture books written for a 1st - 3rd grade reading level were published. My book was published in the most recent round, which selected four writers and four illustrators through a competitive process and allowed us to pair up and work collaboratively to develop the books. A copy-editor helped provide clarity to and tighten up my original writing submission, my book's illustrator, Alex Shimkus, brought the story to life with vivid imagery and visual detail, and the project's layout editor and publisher fashioned it into a 32-page paperback book. The whole process took nine months from submission and selection to the book launch event in October, and was exciting, challenging, and a lot of fun! Can you tell us more about the tradition of giving red envelopes? In Chinese and some other Asian cultures, red envelopes are given during holidays, such as the Lunar New Year, or to celebrate special occasions, including weddings, graduations, and the birth of a baby. Red envelopes usually contain money, though you may occasionally find candy or a proverb enclosed. Traditionally, red envelopes are given by married couples to the unmarried, who are typically younger and/or children. The red color signifies good luck and so my mom always tells me, the money you find inside is lucky! Where did you draw the inspiration for your story? In many ways, this story is autobiographical. As a young girl growing up as the first generation born in the United States to refugee parents, I struggled to know how to be a "good daughter." In terms of my family and Asian culture, I understood this to mean that I should respect my elders, help to clean the house, and care for my siblings. As I navigated my school and community surroundings, though, I found that there were other measures of success, including academic ambition, student leadership, and civic engagement. While it was clear to me that these were all important values and roles, in some ways it felt like they were in conflict with one another. Pursuing too much of one or the other might diminish my chances for public or professional success or alternatively, move me further away from the heritage and traditions that felt core to my identity. I attempted (with varying results) to balance the two, and over the years, I began to see opportunities to apply my love for organizing and community building to advocating for my family members and building a stronger sense of cohesion within my family of origin as well as extended family. I supported my dad on his journey to earning his citizenship and I leveraged my perspective as a member of several marginalized communities to deepen policy discussions that impacted those communities. What I came to see over time was that there was not one "right" or "good"' way to care for those in my life, but that my search to discover where my duties, strengths, and passions aligned was part of my path to being fully myself - as a loving daughter and sister as well as an engaged community leader. Your main character, Linh, struggles to know that goodness doesn’t come from doing things perfectly, but having a willing spirit and wanting to do the right thing. How important is it to you to get that message across to all children? That it isn’t about being perfect at new things, but of wanting to do each thing and be willing to work at it? My book's dedication reads: "For every kid trying to do the right thing. Know that you already are the right thing." While I think it is critical for children to know and believe this, part of me wonders if it's really the kids that we need to tell this to, or instead the adults. Children are full of boundless energy and observations and curiosity. As adults, we have the responsibility of rearing our children, nieces and nephews, and students so that they respect themselves and each other, and can contribute positively to this world. But in so doing, we may inadvertently relay to children that we are the ones who know best for them and that they need to behave or be a certain way in order to be acceptable. This poses a challenge to children just as they are beginning to learn the important life skills of trusting themselves and accepting themselves for who they are. So, I think I'd offer messages to both children and their parents: Children, you don't have to earn your role as someone's child, you already are. Parents, guide your children lovingly, knowing that viewing your child as the gift that they are allows them to fully trust and believe it. The book is available for purchase on Lulu.com. A free PDF copy of the book is available online, along with an Educator Guide, in the Minnesota Humanities Center Absent Narratives Resource Collection. Food. It's what's for dinner. And the topic for SMBMSP #77 entitled, "More Than a Pic of Your Plate: The Business of Food Blogging." See below for a session description and line-up of stellar local foodie panelists. Bon appétit! Food has become a multi-TRILLION dollar industry world wide. Conversations about food spill beyond kitchens and restaurants onto the Internet. According to Forresters, food is the second most talked about topic online after the weather. Food is mentioned every 1.3 seconds online. We check in at places we are eating, post pictures of our meals, blog our reviews, create recipes to share with our readers, and film videos related to food. Join us Friday, April 24th for a panel discussion on the topic of Online Business & Food. Mecca Bos is food blogger and dining critic for City Pages newspaper and a regular contributor to MPR. Prior to this position, she had a six-year tenure as Food Editor for Metro Magazine and spent several years as a columnist for Food Service News. She has been a regular contributor to VitaMN and she wrote the content for national brand Urban Daddy's Mpls./St. Paul iphone app. In addition to her writing career, Mecca has held down a dual career as a professional cook, caterer and cheesemonger for the past 15 years. She has worked in some top area kitchens, including The Birchwood, Lucia's , Grand Café, Seward Coop, Surdyk's and St. James Cheese Company in New Orleans amongst many others. She still cooks private events for longtime clients. She sees the world through the lens of food and she thinks it's a beautiful world. Maja is the Associate Editor for Heavy Table. She publishes a daily column of upcoming events and food news. She photographs and documents new and noteworthy restaurants, recipes and food trends, and uses digital/social tools to promote the Twin Cities food culture. Maja is also responsible for some of the most comprehensive State Fair Food coverage for the last five years, and manages the Foursquare aspect of the coverage, as well as many of the real-time tweets. Mike Mitchelson is the Marketing/Operations Director for Saint Agnes Baking Company and a Gluten advocate. Prior to joining Saint Agnes, Mitchelson was the managing editor for Foodservice News, an industry-focussed publication based in Minneapolis and is a contributing blogger for MN Monthly Magazine. Chrissy's blog, The Taylor House, is a great mix of creative and easy recipes that started as a hobby less than four years ago when she moved to Minnesota. Since that time she has turned her blog into a full time job and her recipes reach over 1.5 million readers a month. She loves creating practical recipes for busy families and feels so blessed that her passion has become a business. Christopher, co-owner, with his wife Mary, of Sterling Cross Communications, is an award winning Sales Manager & Marketeer, with 17 years in the retail, hospitality and medical-technical device industries. He has been a corporate trainer, designer, and creator of business development programs and marketing campaigns for several firms. He is recognized as a Creative, an "out of the box" Social Media strategist, and a successful Public Relations and Business Writer. Christopher speaks, and lectures regularly on the strategic integration of the components of Digital Marketing. He is the author of the forthcoming book: Checking Into Foursquare – Strategies for Social Media for Retail and Restaurants. He also authors the low-sodium cooking blog Hacking Salt. Copyright © 2015 Social Media Breakfast - Minneapolis/St. Paul, All rights reserved. The Roy Wilkins Center for Human Relations and Social Justice at the University of Minnesota is seeking applicants for their second Roy Wilkins Community Fellows Program. The program provides leaders of color from Minneapolis organizations an introduction to policy analysis techniques in order to strengthen evaluation capacity within communities of color. See below for more details and apply by the May 1st deadline! We are now accepting applications for the Second Wilkins Community Fellows Program Workshop. Please note that our deadline is May 1st, 2015. Traditional approaches to policy analysis, developed for the majority population, do not factor in the structural differences that exist between communities of color and majority-group communities. Communities of color, therefore, are at a disadvantage when conventional policy analyses are undertaken. One example is evaluation. Non-profit evaluation does not align automatically with academic evaluation, which often entails randomized trials or sophisticated methods of matching control and experimental groups. Nevertheless, it is academic evaluation that will produce the evidence to support local remedies in the face of skepticism by policy makers and decision makers. Widespread, respected tools of policy analysis, designed for the majority population, must be adjusted or reevaluated when examining the causes of inequality to be certain that their application is reaching the people who have the problem. Researchers trained in advanced tools of policy analysis at the Roy Wilkins Center will guide community leaders in understanding and applying sophisticated methodologies in assessing the effectiveness of their programs. The Roy Wilkins Center asks, “Does this policy work for the communities of color?” when other researchers only ask, “does this policy work?” In short, we are able to model the complexity of the policy problem while keeping race and ethnicity central to the analysis. Roy Wilkins Center research can permanently transform how policy research and policy analysis on problems confronting communities of color are conducted in the Twin Cities. Its findings can be translated into ammunition for communities of color to make their own case to funders and policy makers. The benefits of establishing accurate, external validity for remedies to racial and ethnic inequality will have significant influence on public policies in the future. 2. Prepare leaders of communities of color, via Wilkins Center graduate Students to make their own cases or social change. This course provides an introduction to policy analysis. Participants will be able to understand basic concepts and terminology of policy analysis and understand the strengths and weaknesses of alternative approaches to policy analysis. Two key elements of policy analysis are emphasized: problem structuring and recommendation.